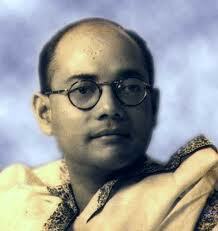 Both Netaji Subhash Chandra Bose and Mahatma Gandhi were infallibly dedicated to the cause of Indian freedom. They were loved by the masses and feared by the Raj. But between themselves, these two icons of India's freedom movement shared a rather frosty relationship and history is replete with instances of trenchant differences between them. Although Subhash Chandra was a follower of Gandhi during the initial days, the later part of the 1930s witnessed a growing radicalization of his thoughts and Bose became increasingly frustrated with the lack of momentum in the independence movement. As Bose started to assert his bold stance in various party forums, it led to a polarization in the Congress party ranks. Bose found himself frequently at loggerheads with Gandhi and their differences often came out in the public. All these bickering reached a climax when Subhash Chandra Bose became Congress President for a second term in 1939 defeating Gandhi-nominated candidate Pattabhi Sitaramayya. Unable to hide his displeasure, Mahatma commented "Subhash' victory is my defeat." But this unhealthy environment within the party made Bose's task all the more difficult and soon he resigned from his post. Subhash Chandra Bose and Gandhi also disagreed over their visions for the post-Independence Indian state. Bose was influenced by the success of the five-year plans in the Soviet Union and he advocated for a socialist nation with an industrialized economy. Gandhi was opposed to the very concept of industrialization. In spite of all the differences in ideologies, both these great men admired and respected each other. In 1942 Gandhi called Subhash Bose the "Prince among the Patriots" for his great love for the country. Bose too admired Gandhi and in a radio broadcast from Rangoon in 1944, he called Mahatma Gandhi "The Father of Our Nation."